CalamintDeciduous perennial. Mint scented, grey-green leaves on tough stems form a low mounded plant..
Variegated CalamintDeciduous perennial. Mint scented, grey-green leaves are speckled with cream on t..
CalamintDeciduous perennial. Mint scented, green leaves on tough stems form a low mounded plant. Upw..
Rock PurslaneEvergreen perennial. Succulent from Chile. 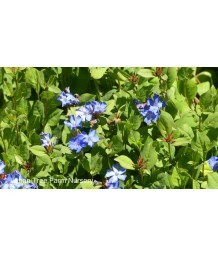 Fleshy, blue-green foliage forms a dense gro..
Million BellsDeciduous perennial. 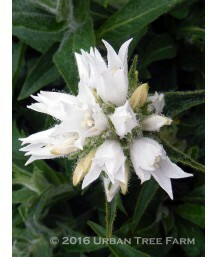 Often grown as an annual in colder winter areas. This long bloomin..
SundropsEvergreen perennial. Low, spreading mound with dark narrow 1-3" leaves. Bright yellow 2" cup..
SundropsEvergreen perennial. Low spreading foliage mound has narrow green leaves and masses of vivid..
BellflowerDeciduous perennial. Large, toothed, deep green, slightly hairy leaves form a low spreadin..
Tussock BellflowerEvergreen perennial. Bright green triangle shaped leaves form low mounds. 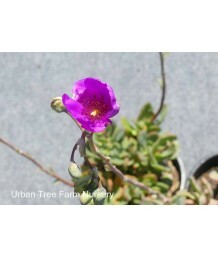 Upward f..
Fairy ThimbleEvergreen perennial. Small round, shiny leaves form low mounds. Half inch, nodding blue..
Gold Leaf Adriatic BellflowerEvergreen perennial. Golden yellow to lime green triangle shaped leaves..
BellflowerEvergreen perennial. Large, narrow, deep green, slightly hairy leaves form a low spreading..
Dalmatian BellflowerEvergreen perennial. 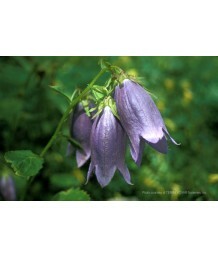 Small, heart-shaped, toothed leaves form low trailing mound..
Peach Leafed BluebellEvergreen perennial. Large, narrow leaves form compact clump. Outward facing, c..
Serbian BellflowerEvergreen perennial. 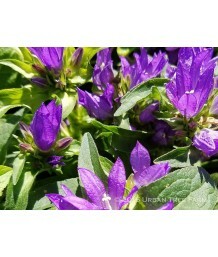 Small, heart-shaped, slightly hairy leaves form low trailing ..
Bellflower or ThroatwortDeciduous Perennial. Large, toothed, deep green, slightly hairy leaves form .. Dwarf BellflowerEvergreen perennial. Small round, toothed leaves form low trailing mounds. 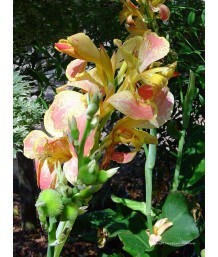 Half inch..
Canna LilyDeciduous perennial. Evergreen in mild winter areas. Create bold tropical effects with the.. 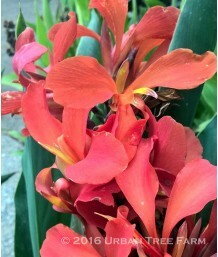 Dwarf Canna LilyDeciduous perennial. Evergreen in mild winter areas. 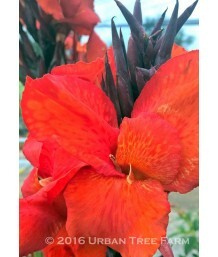 Create bold tropical effects wi..
Water Canna LilyDeciduous perennial. Evergreen in mild winter areas. Create bold tropical effects wi..
Blue Cupid's DartDeciduous perennial. Evergreen in mild winter areas. Large, silvery-green leaves fo..
Cupid's DartDeciduous perennial. Evergreen in mild winter areas. Large, silvery-green leaves form a .. Dusty MillerEvergreen perennial. Soft, lacey silver leaves form an airy mound. 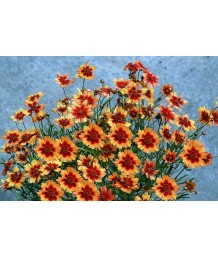 Don't let the soft lo..
Perennial CornflowerDeciduous perennial. Long slender leaves are lime-green to golden on this moundi..
Mauve ValerianEvergreen perennial. Reseeds readily. Grey-green foliage on upright branches. Showy cl..
Jupiter's Beard/White ValerianEvergreen perennial. True green foliage on upright branches. 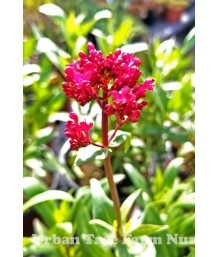 Showy clu..
Jupiter's Beard/Red ValerianEvergreen perennial. True green foliage on upright branches. Showy clust..
Snow-in SummerEvergreen perennial. Used as groundcover. Reseeds readily; can be invasive. Tufts of n.. Dwarf PlumbagoDeciduous perennial. Used as groundcover. Shiny green leaves grow on vertical stems; s.. Dwarf SnapdragonDeciduous perennial. Succulent-like green foliage grows into compact mounds. 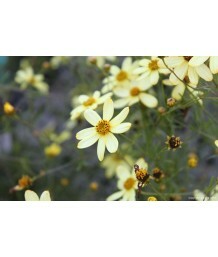 Dainty ..
Yellow Mountain MesembEvergreen perennial. Succulent used as groundcover. Green thick leaves grow in..
Damianita daisyEvergreen perennial. Fragrant dark green needle-like foliage grows into a low mound. ..
Garden MumDeciduous perennial. Thick, aromatic, dark green leaves grow in dense compact mounds. 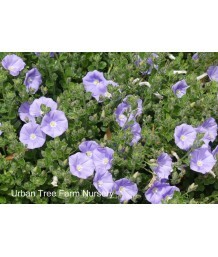 Stri..
Blue Butterfly BushEvergreen shrub. Native to tropical Africa. Glossy dark green leaves. Five petal ..
Blue SpiderwortDeciduous perennial. Green foliage grows on upright branches. Spreads by tubers. Bril.. Ground Morning GloryEvergreen perennial. Used for groundcover. 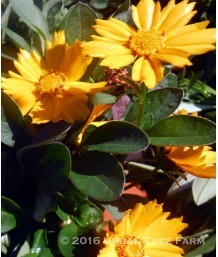 Soft dark green leaves grow into a de..
TickseedSemi-evergreen perennial. Dark green leaves grow in attractive low mounds. Dark burgundy and..
TickseedSemi-evergreen perennial. Dark green leaves grow in attractive low mounds. Peach, coral, and..
TickseedSemi-evergreen perennial. Dark green leaves grow in attractive low mounds. 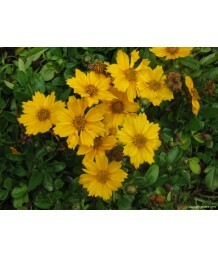 Bright golden-yel..
TickseedSemi-evergreen perennial. Dark green leaves grow in attractive low mounds. Soft canary-yello..
TickseedSemi-evergreen perennial. Deep green leaves grow in attractive low mounds. 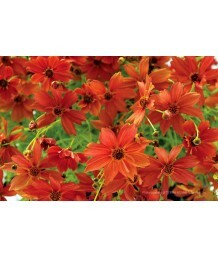 Showy brick-red f..
TickseedSemi-evergreen perennial. Dark green leaves grow in attractive low mounds. Deep velvet-red d..
TickseedSemi-evergreen perennial. 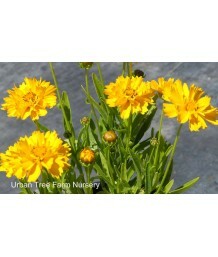 Green grass-like foliage gives fine texture and an airy appearance..
TickseedSemi-evergreen perennial. Yellow and green variegated leaves grow in attractive low mounds. ..
TickseedSemi-evergreen perennial. Deep green leaves grow in attractive low mounds. Showy reddish-ora..
Ear-Leaved TickseedSemi-evergreen perennial. Deep green leaves grow in attractive low mounds. Showy ..
Large-Flowered TickseedSemi-evergreen perennial. Deep green leaves grow in attractive low mounds. 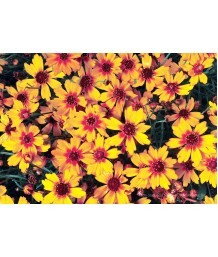 Sh..
Large-Flowered TickseedSemi-evergreen perennial. Deep green leaves grow in attractive low mounds. Fl..
Lanceleaf TickseedSemi-evergreen perennial. Deep green leaves grow in attractive low mounds. Showy g.. 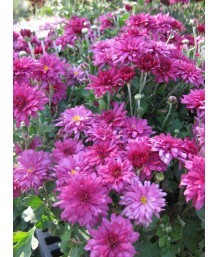 Pink TickseedSemi-evergreen perennial. Green grass-like foliage gives fine texture and an airy appea..
Threadleaf TickseedSemi-evergreen perennial. Deep green leaves grow in attractive low mounds. 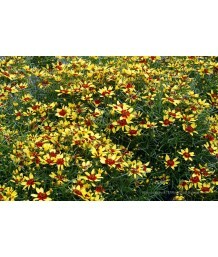 Showy ..
Threadleaf TickseedSemi-evergreen perennial. Deep green thread-like leaves grow in attractive low mo..
Threadleaf TickseedSemi-evergreen perennial. Green grass-like foliage gives fine texture and an airy..
FumewortDeciduous perennial. Grey-green deep dissected leaves grow on low, spreading branches. Slend..
Chocolate CosmosDeciduous perennial. Dark green divided leaves provide a great contrast to the maroo.. Dwarf Chocolate CosmosDeciduous perennial. Incredible chocolate-fragrance. Dark green divided leaves..
Perennial CosmosDeciduous perennial. Dark green grass-like foliage has an airy, delicate feel. Numer..
Brass ButtonsEvergreen perennial. Delicate and soft silver-green foliage grows low and wide, resembl..
Drumsticks/Billy ButtonsEvergreen perennial. Grey-green grass-like foliage grows in basal clumps. Ch..
Crocosmia/MontbretiaDeciduous perennial. Upright sword-like green foliage gives wonderful architectu..
False or Mexican HeatherEvergreen perennial. Deep green foliage grows dense and low to the ground. C.. Bat Faced CupheaEvergreen perennial. Deep green foliage grows dense and low to the ground. Charming .. Lemon Grass (EDIBLE)Deciduous perennial. Lemongrass is used for culinary properties and ornamental q..
Goblet FlowerDeciduous perennial. Deeply pleated pale green grass-like leaves grow into hardy clumps.. Umbrella PlantEvergreen perennial. Narrow, firm, spreading green leaves arranged like ribs of an umb..